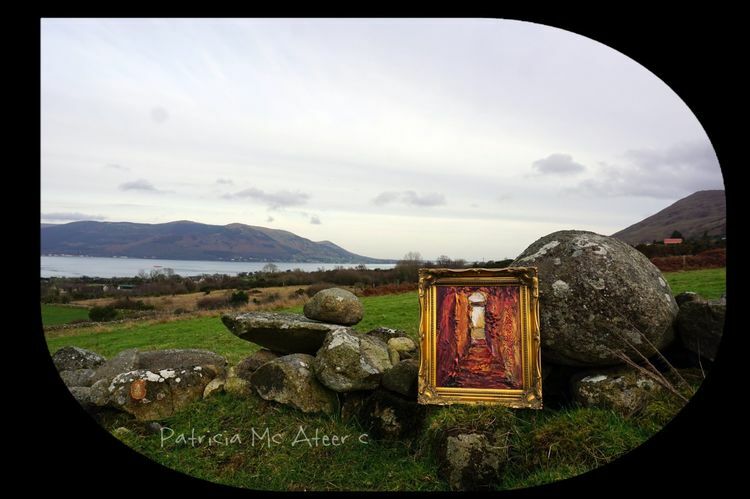 A Newgrange Passage painting leans against a stone wall in the Cooely Mountains overlooking Carlingford Lough and the Mourne Mountains. Location: Ballinteskin, Omeath, Co. Louth, Ireland. Please be aware , all photos of all images, and all images of my art are copyrighted to me only. No image of my work is to be used for any purpose without my knowledge or permission.